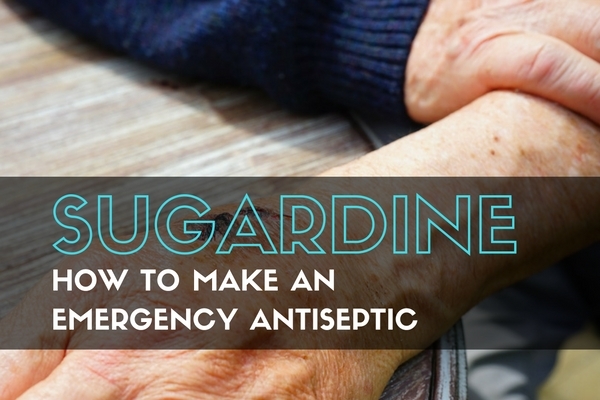 Sugardine is a homemade remedy of sugar and iodine that you do not see too often outside of stables these days. 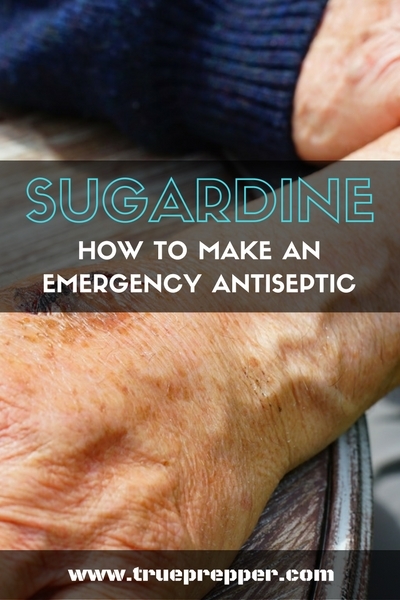 It is an antiseptic, meaning it reduces the chance of infection, sepsis, or putrefaction when applied. Basically, it disinfects wounds. People use sugardine often when treating wounds on horses, especially on hooves because it does not dry them out. Sugardine is referenced in many veterinary manuals and recommended by many horse trainers. Then, mix one part iodine with two parts white sugar. Stir it until the sugar is thoroughly mixed. You know you have it right when it is the same consistency as toothpaste or honey. You will want to store sugardine in a container with a lid so it lasts a good while. It may harden a little, but working it and stirring it back up will get it back to it’s peanut butter consistency. I am not a doctor and would not pretend to be one. There are plenty of store bought antiseptics or antibiotics that work just fine. If you are in dire need of medical attention, do not break out the sugar and iodine- find a doctor immediately. Sugardine is a last resort for when other options are not available. As with all homemade medical solutions, be sure to do your research before using and make sure you are not allergic to any of the materials. Yes this works very well. When I was a NA and my nurse that I worked with used this on a bed sore it was a pretty bad one, I couldn’t believe how fast and well it healed.